Due to STIHL's Dealer Agreement, this item is available for pick-up or purchase in-store ONLY. 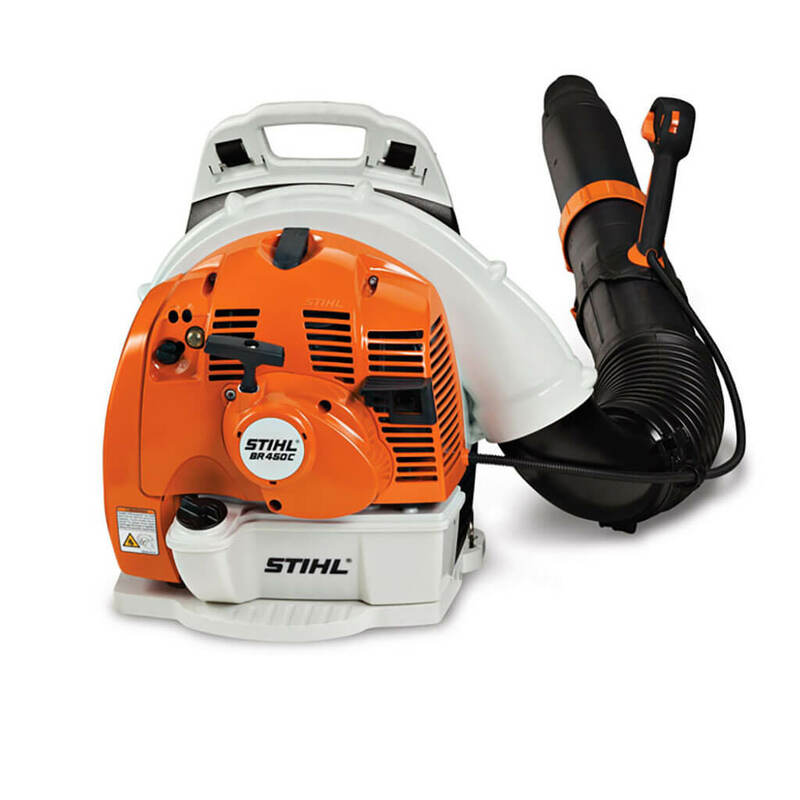 Very powerful blower with STIHL BR450C-EF ElectroStart for convenient restart on the back. Additional pull starter with STIHL ErgoStart for starting at temperatures below 0°C. Rubberised, two-component handle, STIHL anti-vibration system, wide shoulder straps, 2-MIX engine, straightforward starting technology, locking throttle lever with stop button, infinitely variable blower tube adjustment, tool-free handle position adjustment. 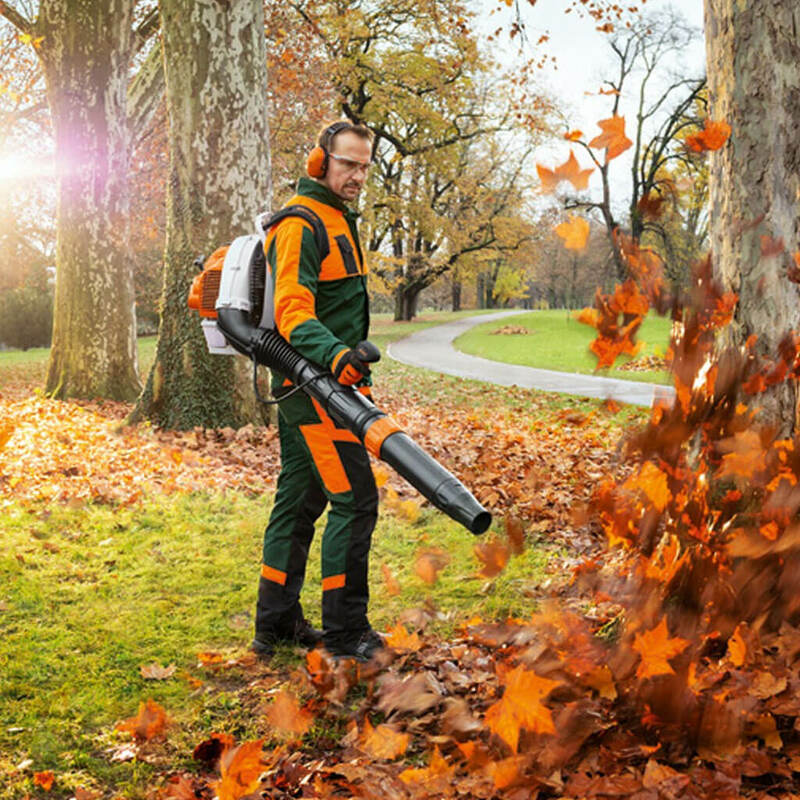 Electric start system engages with the press of a button on the throttle so those maintaining large properties can begin leaf cleanup quickly. Allows users to stop and start unit while wearing the unit on their back, saving time on starting procedure.